What is the meaning of charm? That word is used a lot of times but carries so many interpretations. Generally, it is used to identify anything that is believed to have magical powers. More often than not, these magical powers are positive, that is why people like to associate themselves with it. In reality, people do not only wish good things for their loved ones, they also give them gifts to serve as charms which will make them successful in whatever they are doing, such gifts are known as good luck charms. A good luck charm is an object that is believed to bring good fortune to whoever wears it. There are no restrictions to the nature of gifts that may be used as a good luck charm, that is why you see so many things being used as charms. From those who give things as simple as a button, to those who go far by giving out very expensive jewellery to their loved ones for good luck, there are no rules. Despite the diversity in the nature of items used as good luck charms, the results seem to be the same. When you get a good luck charm for yourself or someone, the normal thing to do for it to have effect is to always carry it around. This explains why the objects used as good luck charms are always very small, so that the wearer can easily carry it about for good luck. Apart from good fortune, there are those who actually these good luck charms can ward off evil spirits or keep bad energy far away from them. Many sportsmen and women still use good luck charms to help them succeed in tournaments, musicians also use it when they need to go out and promote their music or make a stage performance, students use it as source of good fortune during examination period and those who want to have something big, like a job interview, also use good luck charms. Since they are this common and important to a lot of people, what is more interesting about them is that they seem to work, even if they are mere objects…small ones for that matter. Is there a scientific explanation as to why good luck charms work or is it all just superstition? Whether they work or not is not something to be argued. If they were not, it wouldn’t be so popular. 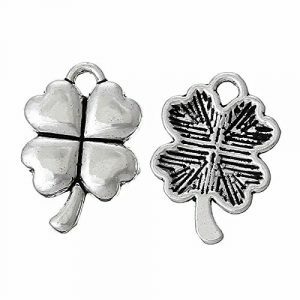 Good luck charms have stood the test of time since they been around as far back as the 1500s where they were initially used to repel evil spirits. What makes is special is who it came from, your need for the good fortune at the time, and the time it was presented to you. The power of good fortune in a good luck charm is the one you give it, it is all in the way we perceive it and how it affects us. When you get one, you already feel better about the task ahead. Some people are such staunch believers in this talisman that when things are getting tough in their lives, they pick it up and hold it tight. Once a gift of a good luck charm has been given to someone, the person changes. This change is not caused by the object’s presence, but by the belief we already have. What do you really need for that interview to be a success? It is confidence? The good luck charm may look like what gave it to you, which is technically true, but it was you who gave yourself more confidence after taking the good luck charm, so you do very well at it. When you believe that a good luck charm will help you, it just boosts your entire sprit, having almost the same effect as therapy. The self-esteem boost you get from this new backing will alter the way you normally do things and make you approach them with more positivity. 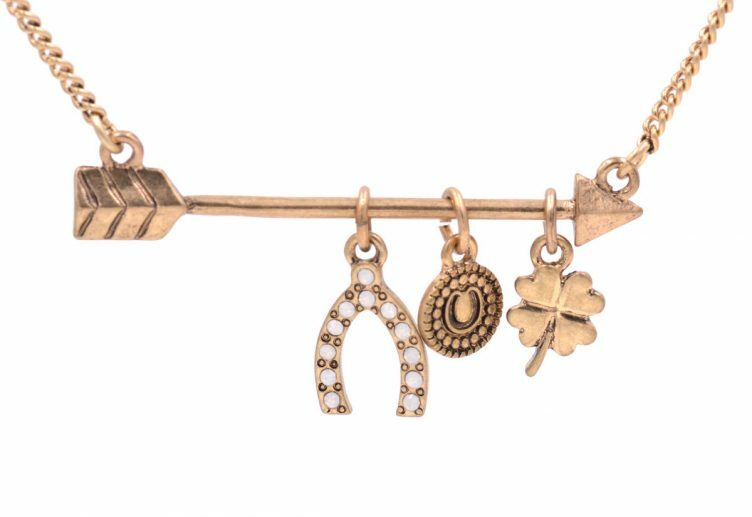 If you have a friend who is about to face something really tough, take out time and go through the ten good luck charms we have selected here for you and gift it to them. 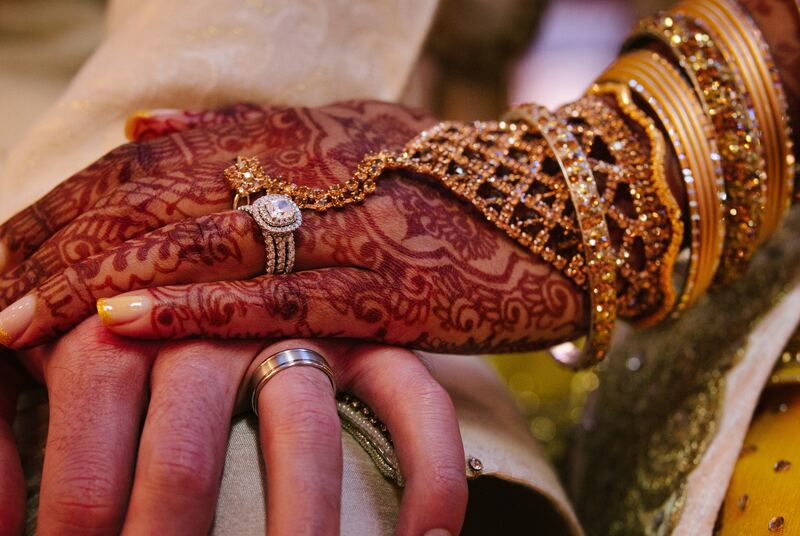 In so many cultures around the world, the horseshoe is a symbol of good luck no matter where it faces. There are those who say it must be facing up and others who say it must be facing down. Point is that this is a lucky charm and the direction it is facing is not a serious issue, remember we stated earlier that what makes a good luck charm to work is your perception of it. This ring has a horseshoe as the main feature, which makes it pass as an effective good luck charm. It has all the feminine brightness that is required. 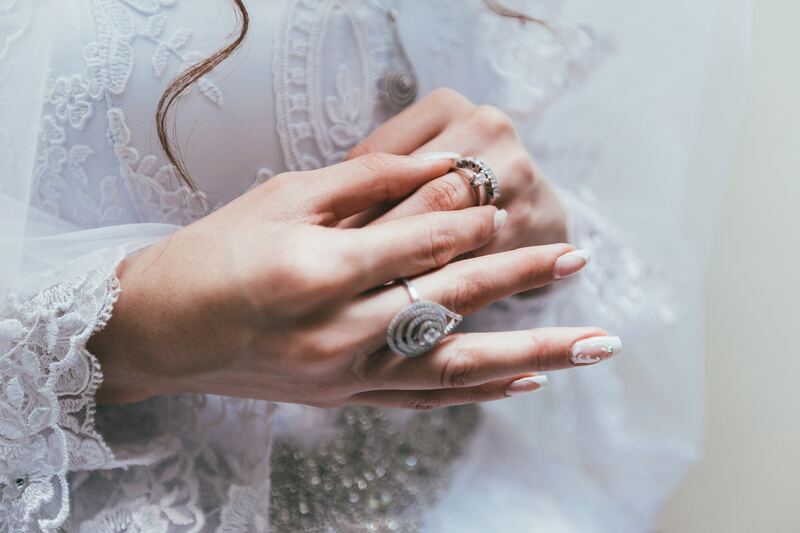 You will have your secret weapon in plain sight when you rock this ring to your event. 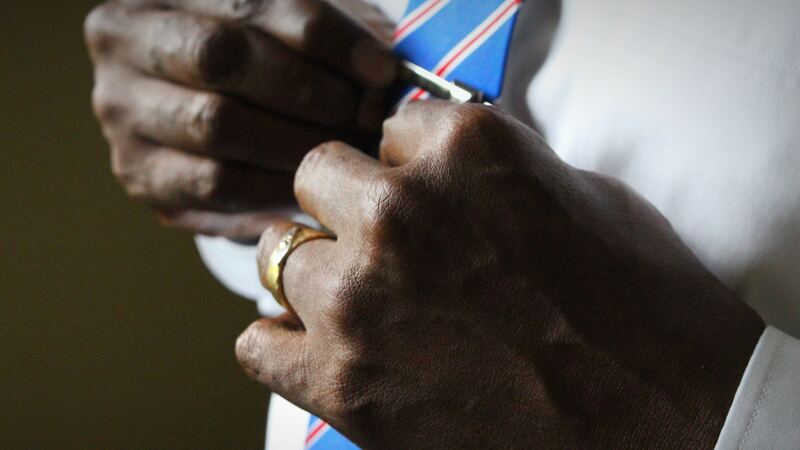 It is simple enough for formal occasions, and you do not have to take it off during an exam or a job interview. It is made of premium grade stainless steel material and does not corrode, so you can keep using for a very long time. 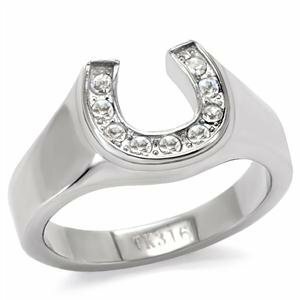 The material has been tested to be safe for your skin, so if you are sensitive, there will be no complications from wearing this well polished horse shoe good luck charm. High grade crystal clear stones have been used to design the horseshoe figure which stands proudly at the top of the ring. First it was a ring, now we are looking at coins. There are really no restrictions when it comes to the type of objects that can be used as lucky charms. 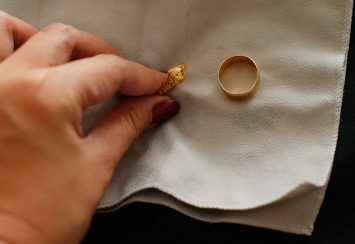 Unlike the ring that you can wear on your fingers, these coins are not exactly for wearing, you just need to find a place in your bag or pocket that you can keep it safely and carry along with you at all times. These coins are an imitation of the ancient Chinese dynasty time coins which are known to bring good luck to those who have it. For a very affordable price, you can get as much as a hundred pieces. This much will give you enough to share among all your friends and family members, everyone needs a little piece of luck in their life every day. Also called I-ching coins, the materials used to make these fortune coins are from hard metals which are also really thin. Do not let the thin feature misguide you though, they are really sturdy and almost impossible to deform. 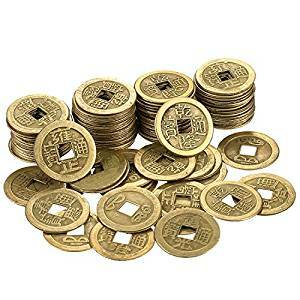 These Chinese coins are not only of one type, since an order will get you a package of a hundred coins, you can expect a mixture of legendary Chinese coin types. The Chinese dynasty coins used to constitute the hundred you will get with your purchase are up to six different types. They are the currencies that were used in the time of Qing dynasty emperors. Like the Chinese coins, this lucky charms are small and come in a number that can make it go round all your best friends. 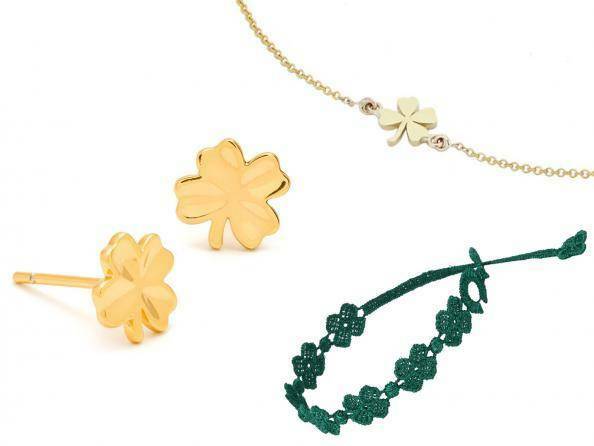 At a single purchase, you can get up to 50 four leaf clover good luck charm pieces. If you have more than 50 friends you would like to gift good luck charms to, there is no problem at all. That is because this set of good luck charms is so affordable that you can make multiple orders without really feeling any heat from your pocket. If you are in a profession that puts you in charge of so many people, getting them a mass gift like this will take a lot off your shoulders whenever there is a reason to gift them. An example of such a profession is a teacher, and it can be gifted to people of all ages, kids or adults will feel lucky to have such a thoughtful person around them to present a good luck charm as gift. The four leaf clover pieces have a tone of silver to increase their appearance, they were made and are distributed by Julz Beads brand. 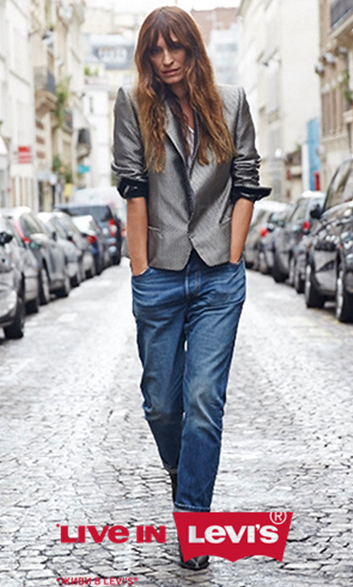 The overall color is silver and the metal used is strong enough to last for many years. 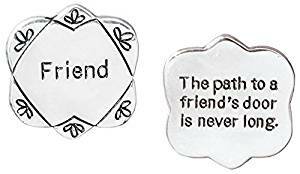 Your friends do not have to wear it, since it is not meant to be worn, but they can carry it around in their pockets and bags, if you have a friend who will need the good luck charm for an exam, let them insert it in the book during study. This is more than just a good luck charm; your friends have to believe in holy things before they can truly appreciate it. If you have friends that are atheists, we advise that you give their beliefs a lot of respect and gift them any other good luck charm. The crucifix will be far more appreciated, and therefore more effective on your friends that believe in religion, especially the Christians among them. 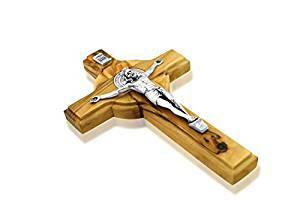 If your friend is a Christian, he or she has probably prayed before going for that task you want to gift them this crucifix for, but they will still take it with lobe because of how much faith they have in holy things. The cross is made out of olive wood and stands proudly at ten inches long. It is from Bethlehem, and telling your friend this will make them appreciate the good luck charm even more. The item weighs just 7 ounces, and there is a hole at the back of the cross which serves as a means for you to hang the crucifix on the wall of your room. Because of the size, you may not be able to carry this crucifix around like other good luck charms, so when you get it, it is best to hang it in a room where people will always find you, to bring luck to your relationships. It is also good to hang it in your office and study room. 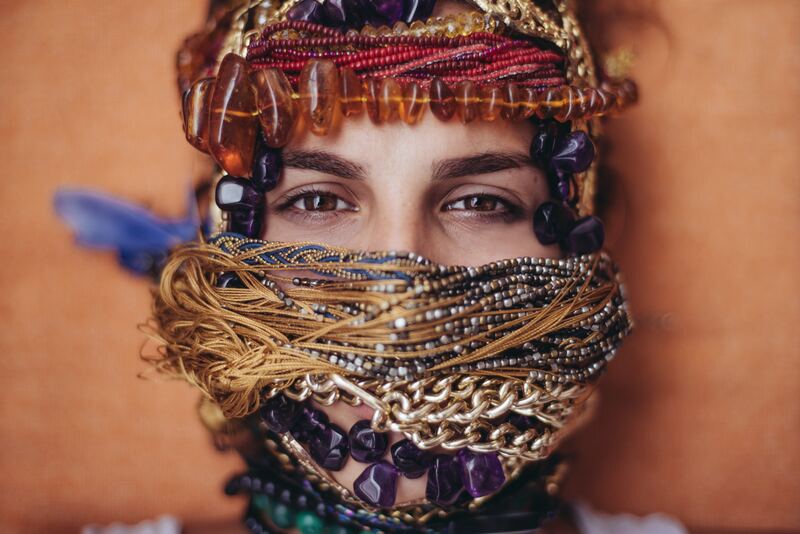 In the world of gemstones, the eye of the tiger has been regarded as one of the ultimate. 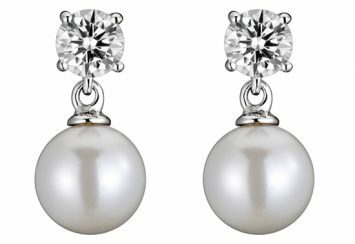 It is not only pleasing to look at, but is believed to be a very powerful source of good luck. A lot of people also believe that it has healing properties, we are not saying it can cure cancer though, but it does help with healing when you look at how well it has aided people with anxiety and depression. The original eye of the tiger is also known to encourage focus and self-determination. All these are more qualities of the tiger eye is why it has made it to our top ten good luck charms list. The tiger eye is found here with other precious stones, and they all make up a beautiful bracelet that is colourful enough to be worn for any occasion. Thanks to the healing history of the tiger eye, you can give this bracelet to your friend who might be sick or preparing for an operation. It is a good way of saying you wish them well. 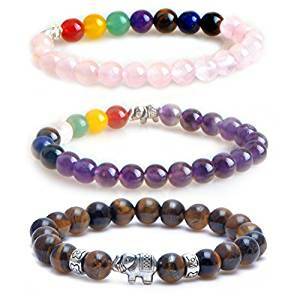 The bracelet has an elephant as the meeting point of the circle, the elephant is almost 14mm in size, small enough to allow the tiger eye and other gemstones shine in the bracelet. Other gemstones that make up this bracelet are synthetic turquoise, purple agate, imperial jasper, dyed lapis lazuli, amber and carnelian. 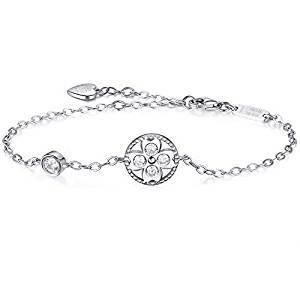 This product is a shiny and stylish bracelet whose main focus is the lucky four leaf clover image sitting in front of it. There is no mixing of colors here, just a complete package of silver colour throughout the bracelet. 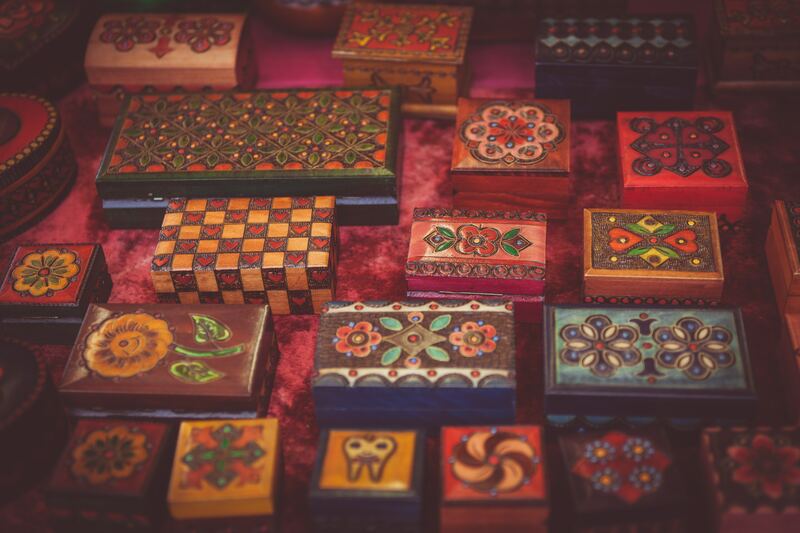 The gift comes in a very cute box, and when your friend opens it, the first thing they will see it a note which reads ‘a little luck’, that is more than enough to tell the person your intentions for them throughout their daily endeavours. Your friend will really appreciate the simplicity of the bracelet’s look, it has just pure silver and can be own to every occasion, including formal ones. If your friend has to go on a long trip for an exam or an interview, they can start wearing it immediately you say your goodbyes, not only when the test has started. Though the silver four leaf clover figure looks small, it is hardly hidden, anyone can see what you are wearing despite it being so simple in appearance. When people look at it, they will not see a lucky charm bracelet, they will only see a really nice jewelry…the luck is for the wearer alone. Everybody needs a guardian angel, and we are guardian angels to the people we care about. While your friends and family are around you, you can make them feel safe by always making sure they eat well, sleep well, and carry out their duties properly, but when they are not with you, the best you could do is to wish them well, and you can now add a guardian angel good luck charm to seal your good wishes for your close friend. The guardian angel statue is really small, only 1.7 inches long and 1.1 inches wide. It weighs 33 grams and your friend can carry it easily in a bag throughout the day. Since they no longer have you around to act as their guardian angel, this good luck charm will help them meet nice people who will show them preferential treatment in that new city. It is also a symbol of protection for your friend, as they travel they will not come across any accidents or unnecessary delays at the airport. From little things to very important ones, this guardian angel good luck charm will really be helpful to your friend who is no longer close to you physically. Angels have been associated with peace and the bearing of good news, not only security. So this guardian angel good luck charm will serve as a source of peace and positivity in the life of your friend. Along with the four leaf clover, the eye of the tiger, the guardian angel, the horseshoe and all other symbols of good luck, is the number seven figure. For some reason you have chosen number seven at some point in your life when you were asked to randomly pick a number, this is because you already know that it is believed to bring good luck. 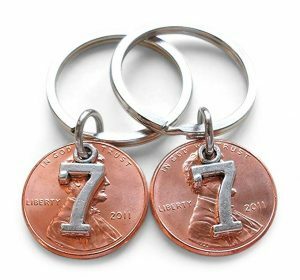 So we have chosen this key chain set with the number seven on it as one of the top ten good luck charms you can gift to an important person. The item weighs about 20g and can be used to easily hook your car keys. Since the key sets are always with you, you already carry your good luck charm around in the form of a number seven key set. If the person you want to give this gift happens to be a close friend or even someone you share deeper relationship with like a wife or a girlfriend, you can give them one set while you keep the other part of it. This is a way to have you both reminded about how much the relationship means to you. If your seven years’ anniversary is coming up, this would be a great addition to your gifts for your best friend. You can write a note along with the key set which says something about how well you have been with this person for seven years and this good luck charm key set will make it more memorable. We have already seen that the horseshoe is one of the world’s most legendary symbols for good luck, so besides the bracelet we mentioned earlier, a necklace with that figure is a perfect addition to this list. 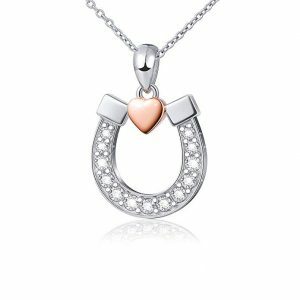 Unlike the ring above, which had no other colour besides the silver used throughout, there is another colour added to the jewellery in this horseshoe good luck charm necklace. The long necklace has a rose gold heart figure right on top of the horseshoe, making it look bigger and more attractive. The necklace chain is 18 inches, and the pendant is the horseshoe itself. It weighs 0.8 ounces, and is a product of Silver Light Jewellery brand. It is a really simple and captivating necklace, one that is a perfect gift you can give your significant other. Your mother and sister will also appreciate the necklace’s silver beauty and whenever they wear it, they will always redeemer that you picked a good luck charm for them with an eye for quality. This necklace is very popular because it has an appealing appearance. The females have bought it for themselves as a good luck charm to wear on a first date, both the elegance of the necklace and the good luck charm of the horseshoe figure, couple with the rose gold heart on top, have given a lot of women good luck with romance. Of all the good luck charm objects in the world, the coin is by far the most popular and most frequently used. Even on this list, the lucky coin is the most sought after and there are a number of reasons why this is so. It could be because of the small nature of the object, which makes is very easy for people to carry around no matter how tiny their bag or pocket is. Another reason could be because it is used to cast lots a lot of times, in football games today, they still use coins to decide simple things like the team that should get the first kick at the ball to start the game. Also, coins are highly sought after good luck charms because they have a history of money. Almost all countries used coins as money before the modern paper, some still use it, so this good luck charm in form of coins will be a great gift for your friends who need it. They are the most traditional for of good luck charms. This particular coin is very affordable, you can make up to ten purchases without feeling a thing. The package dimensions are 9 by 5 by 0.3cm, the metal used to make these coins are very strong and they will bring good luck to your friends for a very long time.